Psychological Abuse consists of verbal, mental and Emotional Abuse. These are forms of narcissistic parenting and are just as brutal and life-altering as other forms of child abuse. 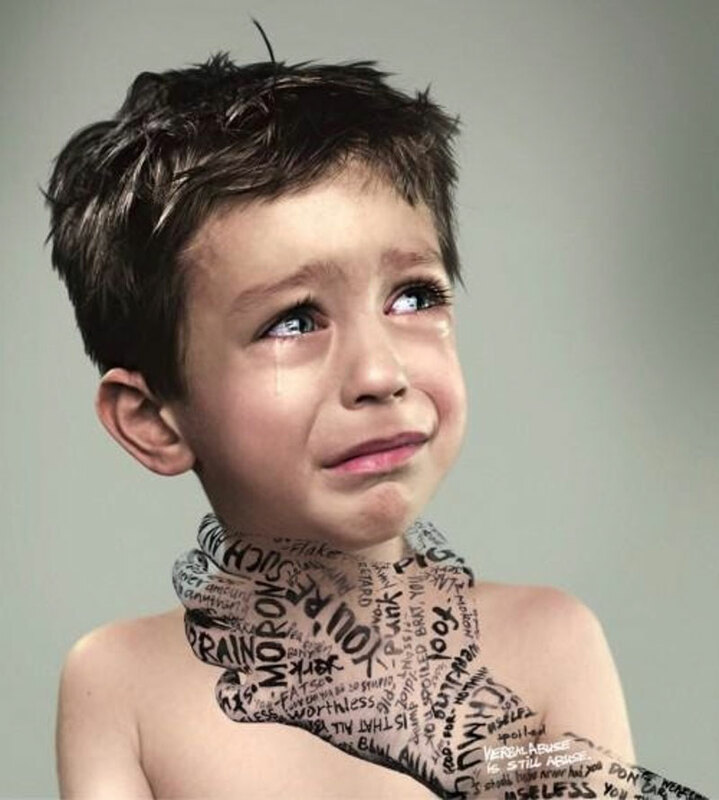 Belittling a child, threatening or terrorizing, screaming, using profanity, isolating the child from friends and activities, teaching the child to be afraid, blaming and/or shaming are all signs of Emotional Abuse. These forms of abuse are illegal interrogation tactics against prisoners of war in the United States, so why would we look the other way when they are being used on a child? Such abuse can severely affect a child’s development. It can break their self esteem and lead to further abusive relationships, eating disorders, alcohol and drug addiction, cutting and criminal behavior. It is never okay to demean a child. It is always okay to call for help if you suspect a child is being abused in any way. If you observe a child suddenly displaying regressive behavior like bedwetting, or a speech impediment such as stuttering, if they appear withdrawn, are having weight fluctuations or health issues (e.g., stomach problems), unwarranted/irrational anxiety or phobias, if they are too compliant or too combative, missing school or failing academically, please reach out for help. Go to ChildHelp.org for resources in your area. If you would like further information on Emotional Abuse, please contact us.